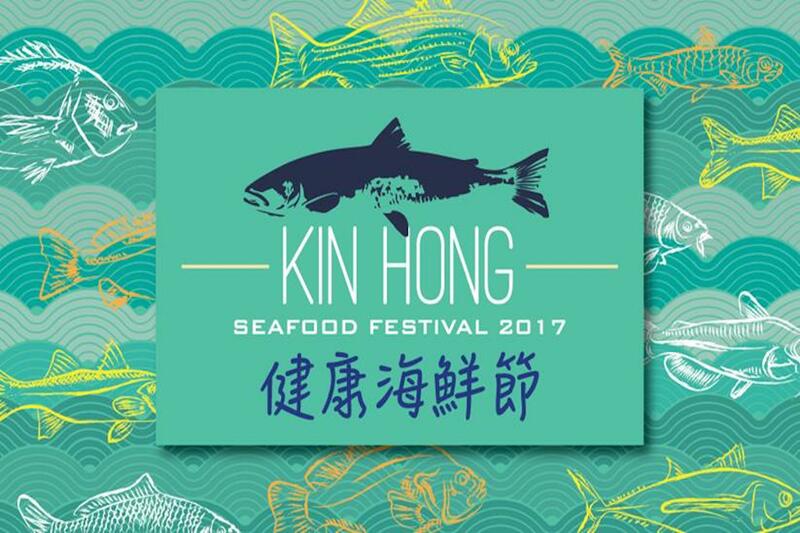 KIN HONG Sustainable Seafood Festival on for the month of September. Is This the Airplane of the Future? Tetrahedron Superyacht, Or Super Hoax? When you’re out for dinner next time, don’t be fooled into thinking that you’re eating a line-caught fish from a local fishing boat. Over 90 per cent of the seafood in Hong Kong is imported. There are so few regulations about certifications in Hong Kong that it’s almost impossible to know the provenance of seafood, especially in the wet markets. Are all the fish the same size? Most likely these have been farmed. And those live fish you see in the fish tank at a restaurant are almost 100 per cent reef fish: from 2002–2013, Live Reef Food Fish (LRFFT) accounted for more than 60% of all live fish imports and 50% of the highest-value or most-threatened species. 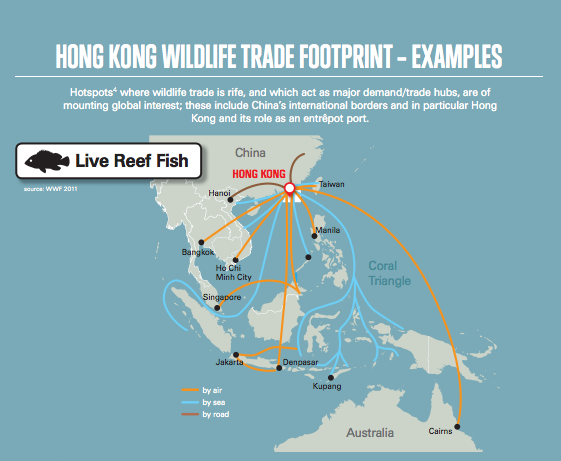 The “Mostly Legal, But Not Sustainable” paper, prepared by ADM Capital Foundation with the financial support of the Hong Kong International Airport Environmental Fund, reports that the LRFFT trade in Hong Kong relies largely on sourcing fish from unmanaged and poorly regulated fisheries throughout Southeast Asia. One controversial method for catching reef fish involves crushing cyanide tablets and squirting the solution at the fish to stun them. Of course, this is bad for the fish if they ingest it, but it’s even worse for the coral reefs. The World Resources Institute, estimates that 20 per cent of live fish in markets is caught with cyanide. And how are these fish transported? This is huge business for major airlines—around US $1 billion a year. They turn a blind eye to to sealed cargo and are the major transporters of Live Reef Food Fish. We can choose to be vegetarian, and we can choose to be gluten free. We can choose a paleo or ketogenic diet; be carb or sugar free. The most important decision, however, is to choose sustainable products—but what exactly does this mean? As consumers, we use a lot of natural resources every day. In 2005, the World Summit on Social Development identified three pillars of sustainability, one of which is environmental protection. Keep the air clean, support Free Trade, recycle, and consider renewable energy sources. In short, sustainability means living in a way that does not harm our natural environment, and this includes the animal kingdom. Sustainable food takes into account health, environmental, social and economic concerns that affect us all globally. This means that we need to be looking at not only which fish we harvest but also the fishing methods used. What’s the point of eating healthy, organic vegetables, for example, if the farm employs slave labour? Seafood is no different. Our oceans are facing multiple threats—from microplastic and warming to coral bleaching and acidification—but one of the biggest is unsustainable fishing practices. The second-annual KIN HONG Seafood Festival aims to build public knowledge of sustainable seafood, why we should care about what we are eating, and where it comes from. 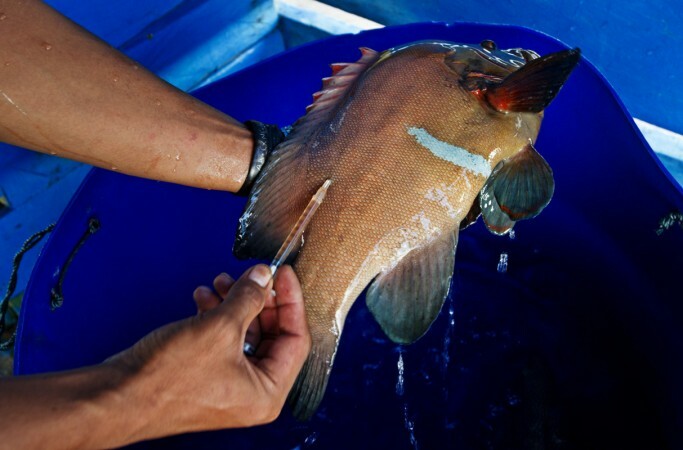 Meaning “healthy” in Cantonese, KIN HONG is funded by ADM Capital Foundation and organised by Ocean Recovery Alliance in collaboration with Foodie, the Marine Stewardship Council (MSC) and the Aquaculture Stewardship Council (ASC). These are the primary organisations responsible for setting standards for sustainable seafood globally. Consumers can play a role in improving these issues by ensuring they are eating responsibly sourced seafood that has been caught or raised sustainably. KIN HONG continues to inspire change within the F&B industry in Hong Kong with over 100 restaurants, retailers, catering companies, airlines and entertainment venues that have committed to serving at least one menu item with certified sustainable seafood during the month of September. 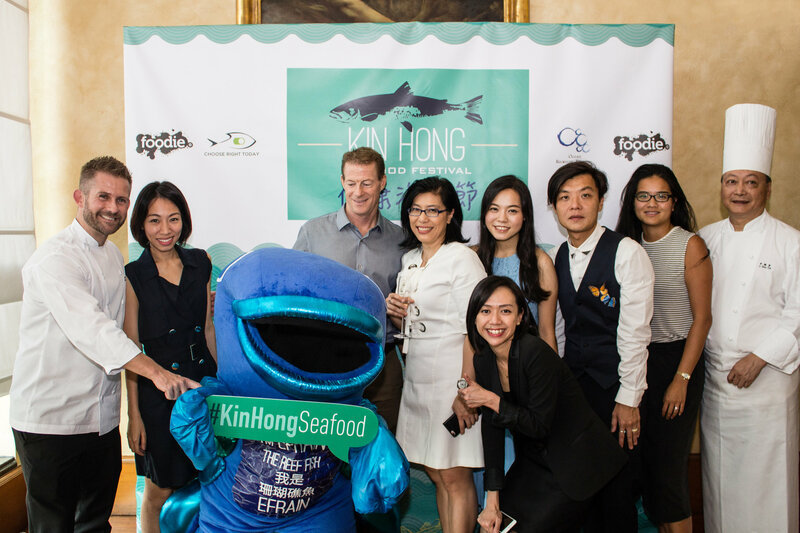 Grand Hyatt executive chef Gerhard Passrugger and his team hosted the KIN HONG Sustainable Seafood Festival launch earlier this month. Passrugger is passionate and articulate about sustainable options, and says that we must have respect towards the product and the planet that provides for us. At the Grand Hyatt, the yellow-fin tuna is caught by fishermen off small fishing boats; the prawns are brought in from New Caledonia; and the lobsters are shipped from Canada. And because squid is red-listed around the globe, the hotel is sourcing jiggled squid from New Zealand. This product is much higher in cost but doesn’t involve by-catch: for every 25 kilograms pulled from oceans, 75 kg of other marine life is also brought up. The chef would like everyone to “think twice when eating squid” and try to eat sustainably, where possible. Does eating sustainably cost consumers more? Suppliers and retailers are using price as an excuse, but when you are talking about high-quality seafood, there is little or no difference in cost. “A lot of the time, [sustainability] doesn’t affect the pricing”, said Passrugger. 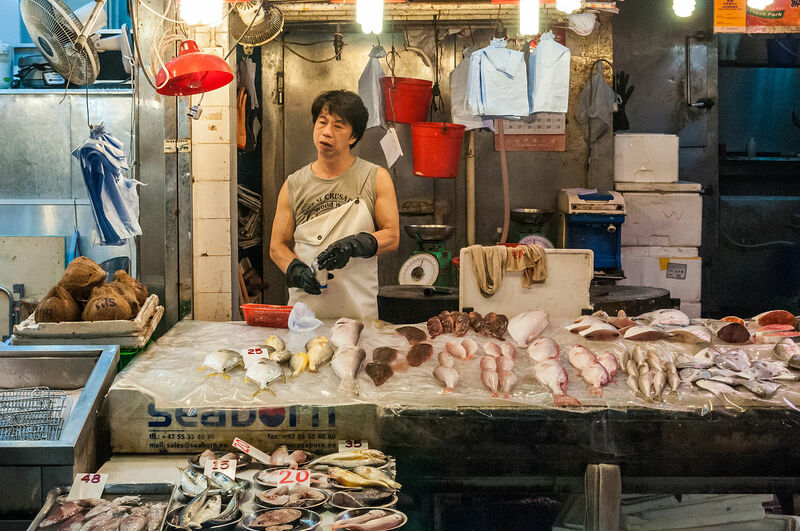 Half of the fishmongers in Hong Kong have never even heard of sustainable seafood, and 66 per cent cite lack of information for this lack of knowledge. The easiest person for the chef to convince about eating sustainable seafood was a 65-year-old chef. He had seen first-hand, over the last 40 years, depletions in markets. This chef didn’t need a research report to tell him that this crisis is very real and that it’s a problem requiring global attention. The Grand Hyatt chef often hears customers say, “Oh, we can’t live without a certain product”. If a culture traditionally eats certain foods, it will be more resistant to considering alternatives. The Chinese like to eat wild reef fish at banquets because the colour, texture and taste is better, and because these fish are considered a delicacy. Believe me—in a few years, you will be without it whether you like it or not. The Japanese, he says, have been very hard to convince about sustainability. According to a 2005 article that states “one in 10 fish is eaten in Japan”, most sushi chefs, when asked their opinion about overfishing and depleting stock, had no idea that this was even an issue. 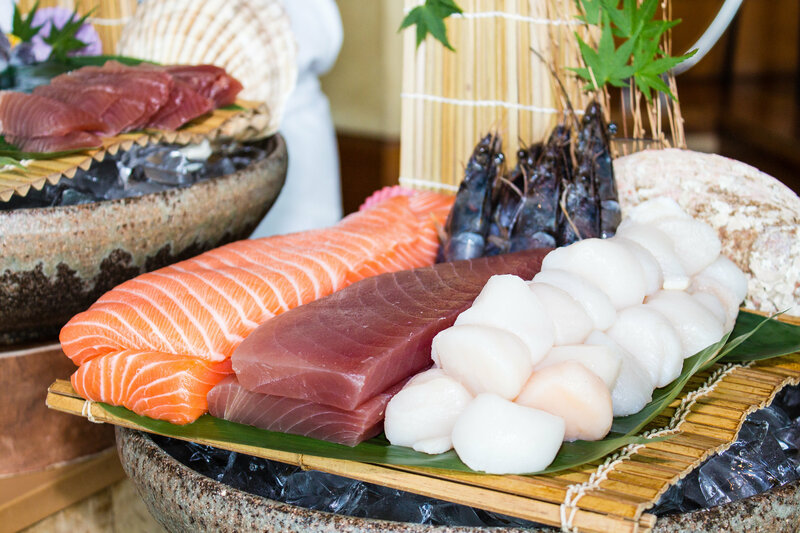 The global standard of sustainable seafood, Marine Stewardship Council (MSC), was first introduced to Japan in 2006. Eleven years on, positive changes have been made in Japan. If this seafood-loving nation can embrace changes to their eating and fishing habits, then so can Hong Kong. Ask: Where did this fish come from, and how was it caught? With all the press about things that are bad for our health, it’s so much easier eating sustainably. It really does mean one less very big thing to worry about when there are so many variables out there. In doing so, you can support small communities that are fishing with single lines instead of trawling. A fish is tagged behind the gill, which means it can be traced back to exactly where it was caught, who caught it, and by which method. Douglas Woodring, co-founder of the Ocean Recovery Alliance, hopes this is just the start of responsible consumerism in Hong Kong and around the world. If we get switched on, it will create a big ripple effect with suppliers. Customers are encouraged to ask restaurants about their sustainable seafood options, and where it comes from. KIN HONG is even offering a prize giveaway—take a photo of yourself with your sustainable seafood dish, tag the participating restaurant and upload it at #KinHongSeafood. The top 10 pictures chosen will win the Simply Fish cookbook from internationally acclaimed chef Matthew Dolan of Twenty Five Lusk, in San Francisco. Participating organisations include Grand Hyatt Steakhouse, Cathay Pacific, City Super, Limewood, Grissini, A.O.C Eat & Drink, Le Bistro Winebeast, Bungalow, IKEA, Disney Explorer, Catalunya, Elephant Grounds Shangri-la’s Shang Palace and Shore, to name a few. Registrations are still open and KIN HONG welcomes restaurants to join the festival by getting in touch at info@afoodieworld.com. We hope you can visit some of the over 100 F&B outlets in Hong Kong and even internationally to support their sustainable seafood dishes (China, Macau, the UK, New York and San Francisco are all participating this year). Maintaining our oceans’ ecosystems will take more than the month of September but it’s a great start for the people of Hong Kong to catch up with global sustainable standards. Ask your server: Where did this fish come from, and how was it caught? You’re paying more than the price on the menu by not asking, so spread the word about sustainable seafood and start making responsible choices. Subscribe to receive the latest news, reviews, tips, deals, and win great prizes! @2018 - Refined Travellers ltd. All Right Reserved.